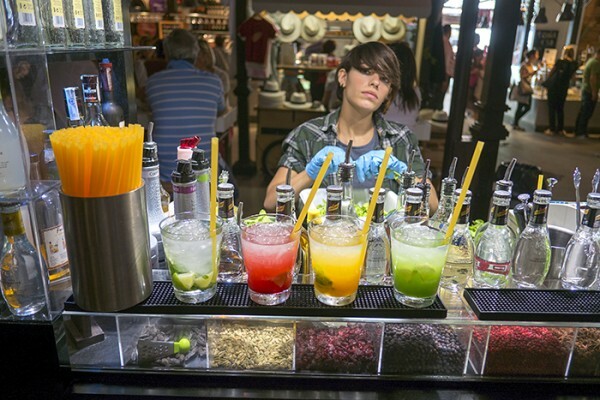 Bartender, Mercado De San Miguel, Madrid. The market is a popular upscale food court. Madrilenos wander from vendor to vendor picking up cheeses, jamon, paella, wine, seafood, etc. Then they find a table and feast. 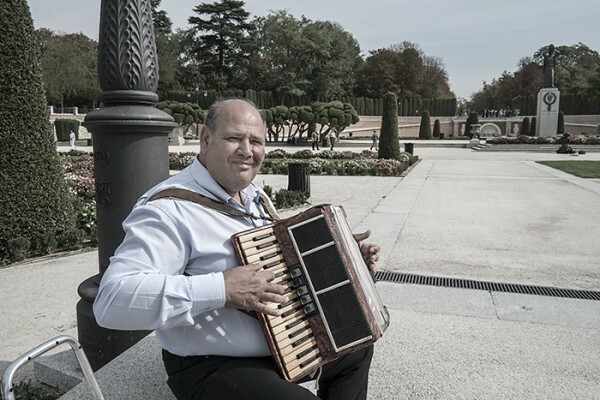 Busker, Parque Del Buen Retiro, Madrid. 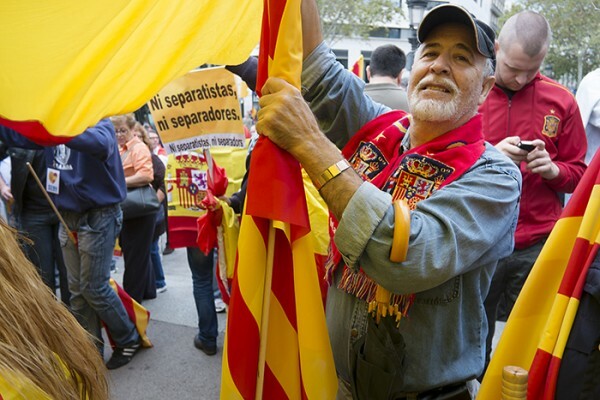 Spanish pride on Fiesta Nacional de Espana, Barcelona.